Being visible to your potential patients is one of the most important aspects of your online marketing objectives. This is one of the most important chapters of this research Project. There are many different ways that you can work on your overall business visibility and ensuring you have a strong strategy in place will be your chance for success. It does not matter if you have the nicest looking website, most modern clinic, and most reasonable prices, unless you appear where your potential patients are searching, they will not find nor choose you. In today’s day and age the majority of information comes from the Internet. For example, if you were searching for a new dentist in your area you’re going to be far more likely to open a web browser than to open a physical copy of the yellow pages. According to a study by comScore, approximately 20.3 billion searches were conducted in the United States in just one month. As we already have seen, well over 81% of the Irish population use the internet, you need to ask yourself is your clinic visible to the internet population. 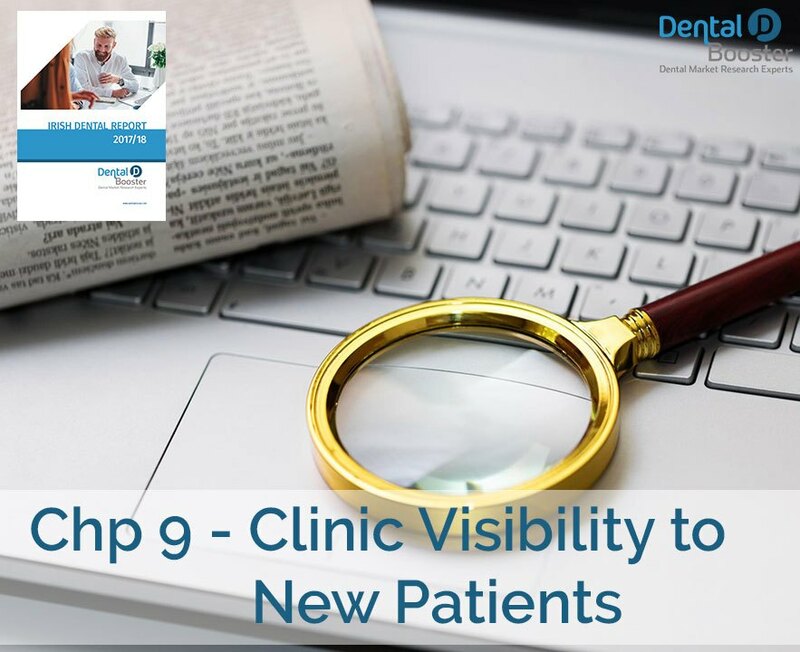 Business visibility is basically how easy it is for potential patients to find your practice and to find information about your offered services. The better your visibility, the easier you are to find and contact. The basic options for marketing your Dental Clinic are offline and online. From our Research, online is a lot more effective, and cost effective. Flyers and Posters: When it comes to marketing to an offline audience, using flyers and posters can be quite useful. You will have the ability to create a template filled with important information such as your offered services, hours of operation, business address, and more. The main concern with flyers and posters is they can be quite expensive, particularly if you opt to print them in colour versus black and white. Also, you will need to allocate the resources to distribute them to your immediate area. Printing and distribution can be costly! Billboards: Billboards are well known because they’re typically large and eye-catching and they help to target a diverse market, relatively anyone that travels near the billboard during the day. You can easily increase your brand’s consumer exposure, helping to make it a reliable method of awareness advertising. According to The Arbitron National In-Car Study, approximately 72% of commuters pay attention to billboards. It’s also important to note that billboards are subjected to damage as a result of weather and they cost an exorbitant amount of money, sometimes too expensive for small businesses to afford. Newspaper Ads: Newspaper advertisements can be a useful marketing tool if you’re trying to garner the attention of people that regularly read the newspaper. You’ll have the ability to take advantage of a timely method of marketing, as you can change your ads every day if you please. Also, they are incredibly portable and easy for clients to read. Its important to add, newspapers have seen a drastic decline in readership. According to the Newspaper Association of America, less than 48% of adults read the newspaper. Also, when compared to online marketing channels, newspaper ads can be incredibly expensive. TV Directories: TV directories are another method of offline marketing, especially if you have a relatively strong budget behind you. There are plenty of people that watch television; approximately 99% of all households have a TV in their home. These people are going to regularly visit TV directories, where your advertisements can be placed. The main concern is budget, particularly in terms of small dental practices. You can expect to spend hundreds of thousands on advertisements relating to television. One important thing to mention here and understand is the intent of the person viewing the marketing material! If a potential patient was reading a newspaper, billiard or TV advert, they were not necessarily looking for a Dentist at the time. There is a possibility that they were, but there is no clear intent. On the other hand, when someone searches Google for a Dental keyword/search term, they are looking for a dentist, and a potential advert towards them will have a higher rate of conversion / success due to this. Focusing on potential patients who are interested in your services is vital to grow your clinic. When it comes to your customers searching for a specific business, they will typically rely on a couple of avenues. As per a statement released by Google in 2015, mobile searches have far surpassed traditional desktop searches in over 10 countries. A study by comScore found that approximately 61% of residents use their smart phones to conduct searches for businesses. Now this figure is closer to 80%. This means that more and more people are beginning to search for information while they’re on-the-go. With the help of online marketing, you can easily target these individuals to inquire more about what your practice has to offer. Directories are useful as they help you to reach out to new website visitors and potential patients. Anyone who is conducting a local search will be able to see your business details in that particular online directory, even if they weren’t previously aware of your existence. Local searches make you 2x more likely to acquire a purchasing customer. They are also quite informative for patients, as you will have the ability to showcase your location, contact information, website URL, and other details. Not to mention that all of this information is available 24 hours a day, 7 days a week, and 365 days out of the year. As mentioned, whenever someone is looking for a new business they’re going to turn to a search engine, particularly Google. According to Statistic Brain in 2016 there were over 9,022,000,000 searches done on Google per day. That’s billions of people in the search engine market that are looking for different products and services, even healthcare professionals such as you. With the right search engine ranking, you’ll easily be able to attract more customers than ever before. A study conducted by Mr. SEO found that first page websites gather up to 91.5% of all Google traffic based on searched keywords. Websites listed on the second page only gather 1.1%. From the table above, it’s clear to see if you are not on page one, in the top 5 listings, you will not be benefiting much from your listing. With Google searches your potential patients will be directed to your website. This is where they can learn about your staff, see pictures of your business, learn about your services, etc. Depending on the content on your site, they can also take a look at any promotions you have available, such as coupons for free treatments. With a good ranking on a search engine, you’ll essentially be gently pushing all of the most important information about your office into the view of your customers for them to easily read through and digest. To further understand how the Google Search process works, potential consumers will access Google.ie from their internet browser. They will then type a search prompt into the search bar, such as “Dentist in Ireland” or “Top Rated Dentist in Ireland”. Once they submit their query, Google will produce a list of hyper-links (website URLs) that will direct the searcher to a specific website. At that point, potential consumers will be able to visit a site and learn more information about their selected business. Improving your online visibility can be affordable and easy to do with the use of a few great tools from Google and a general knowledge of how to optimise the content on your website. Luckily, unlike other search engines, Google understands the importance of their services for small and large business owners. 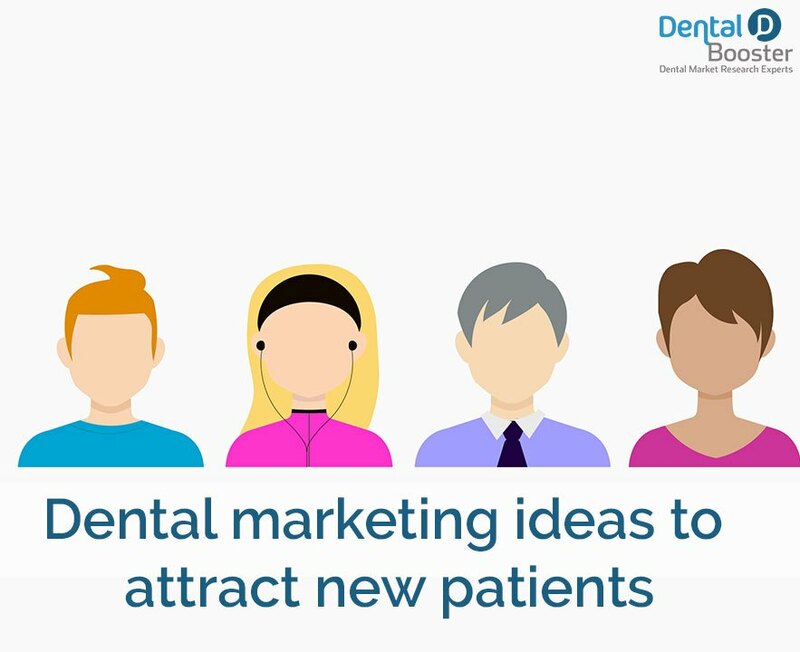 With their integrative tools, you’ll easily be able to boost awareness about your dental office. We have come up with the 3 main areas you need to target to appear in, and we will discuss each of them separately below. Also known as Google Adwords, placing an advertisement on the worlds most popular search engine is simple and available at an affordable cost. Commonly known as a pay-per-click advertising service (PPC), Google Ads give you the ability to draw more traffic into your website via “Sponsored Links”. You can customise the ads by scaling its exposure, but this will depend on your overall budget. 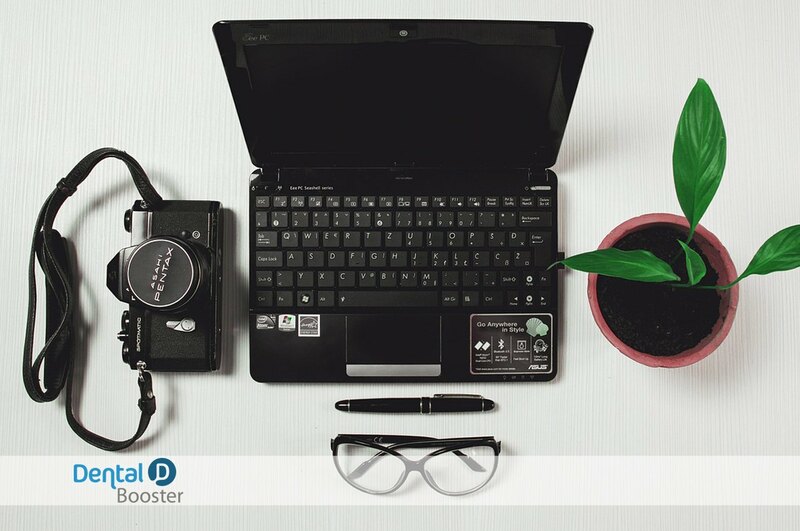 To set up an account with Google Ads, you can contact a registered Google Partner (like DentalBooster), or try setting up the account yourself. I would whole heatedly recommend not to try to set up the ad campaign yourself. Most of Googles default settings will ensure you spend your budget as quickly as possible, this will make the campaign costly and the end result very poor. You will end up targeting people who are not in your locality, not looking for your specific service, not speaking your language etc., wasting your money. When setting up a campaign, my team spends on average a full day to 1 week to set up an account properly. This is followed by constant attention, constant optimisation to ensure that you pay the lowest possible amount for the largest amount of clicks. If Google Adwords is set up correctly, you can generate a long stream of customers monthly. Search Ads: Advertising on search engines when people search for products or services that you have to offer. These work great. Display Ads on Partner Network: Placing ads on news sites, independent blogs, and other specific niches on the internet. I generally avoid these, as they can be costly, and ineffective. Video Ads: Display Video advertisements before videos on YouTube or next to search results on YouTube. These are great for brand awareness, and their cost can be as little as 1 cent per video view. Call Ads: These ads show on mobile devices, and entice users to call your clinic directly. These can work well, but they are very costly compared to the other ad options. Also its important to note that you are charged when a person clicks to call, at that moment they are given a dialogue box asking them if they want to call your number, they can choose yes and call you, or no and cancel, but you will be charged whether or which. Re-marketing: One of the most powerful tools in Google Adwords. This gives you the possibility to track visitors to your website, your YouTube channel etc., and later only target them with your text and video ads. These people are already somewhat interested in your service, and a displaying a second ad to them will convince them to choose your business. IMPORTANT: Re-marketing is not allowed with Dental Clinic’s and health professionals due to Google’s restrictions. √ Improving Reach: The most prevalent benefit of Google Ads is they help you to reach a larger audience. According to a survey conducted by WordStream, approximately 64.6% of Google users in the United States click on Google Ads when they’re searching for a specific product or service. √ Affordable: The cost associated with Google Ads is manageable, as you have the ability to customise the campaign to fit into your budget. You will only be charged based on the clicks on your ads. I usually recommend a monthly credit of €150 or more to start with. √ Time Efficient: Consumer behaviour is always going to change, and typically at a fast rate. With Google Ads you can edit and post them in less than 15 minutes, plus any changes are entirely free. √ Instant Business Enquiries: Once you set up your campaign, and run it, you will be getting clicks to your website within an hour or so! X Constant Cost: One main concern that many businesses have with cost-per-click advertising is that you are charged per click, regardless of whether you gain new patients or not. For example, you may have 100 clicks but only 10 of them decide to sign with your business, you still need to pay for all 100 clicks. This is why I recommend a certified professional to ensure your ads are set up correctly, and that the campaign is profitable. Ensure your Average Ad Position is between 1 and 2! The Google Ads are marked with a YELLOW background in the image above. star rating out of 5 and access to reviews. According to Vivial, businesses with visible ratings are 63% more likely to be busier than those with no ratings. These 3 local business listing are called the 3-Pack, also known as the Google Map Pack, are a great way to gain exposure for your business. √ Accessing Important Information: Users are also given the most important information for local businesses. Typically when searching for a dental practice in the area, potential patients will be interested in seeing where you’re located. With this local listing they will be able to see how to get directions to your clinic with a click of a button. It also shows your phone number, and website URL if you have one, your review score out of 5 stars, and your business hours. Now they have access to all of the important information they’ll need to learn how to contact you. These listings give the viewer everything they need to contact you in one click. √ Optimised for Mobile Browsing: With a growing number of internet users relying on their smartphones to find information about local businesses, Google’s Local Result set is perfectly convenient. All of the information customers will need is immediately visible and the entire page is redesigned to fit perfectly with mobile user interfaces. Adding to that, more importantly the listing has a call now feature that displays on mobile devices, making it easy for the viewer to call the dental clinic in question. The more convenient it is for your clients to get in touch with you, the more calls you’ll receive on a regular basis. According to The Google Mobile Playbook, approximately 80% of smartphone users use their devices for research prior to making a purchase. √ Making Reviews Accessible: Depending on the reputation of your practice, this can either be seen as an advantage or a disadvantage. On a positive note, the majority of internet users are on the search for reviews before making a purchasing decision. When you manage to appear in the Google Local 3-Pack you’re going to give your patients exactly what they need to make a decision on whether to choose your clinic or not. √ Free and Easy to Use: The Google 3-pack is a great marketing tool because it’s free and incredibly simple to start up. All you need to do is visit this link from Google and input information about your business, such as its name, country, street address, city, main business phone number, etc. You can also get a certified individual to set the listing up for you. We Offer this service for FREE! Once you have the listing verified, you can start promoting it and optimising it in order to get your business listing in the 3-pack. Once you are listed in the top 3 of your locality, you won’t have to worry about a cost-per-click fee as per with AdWords, it’s a convenient method of marketing that certainly won’t break the bank. √ More Competitive: Now that the total number of listings on the results page has been dropped from 7 to 3, small business owners are in a position where they have to be as competitive as possible. It is imperative to optimise your business listing to ensure it appears in the top 3 listings, otherwise users will have to access a secondary source of information to contact your dental office. This will greatly reduce the number of calls you’ll receive. 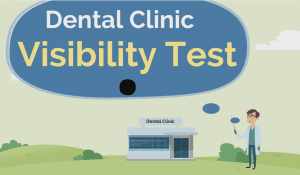 Google takes in a wide range of factors when deciding which 3 dental clinics to show on the Google Map result set, such as reviews, whether the website is mobile friendly, the loading time of the website, and the website structure and quality. √ Locally Focused: The main point of the Google Local 3-Pack is to give customers the ability to find businesses that are near them. If you have a marketing strategy that heavily relies on attracting customers from places around the world, this feature won’t be too beneficial. According to Deluxe, approximately 75% of local searching consumers who are browsing for a business on their smartphone are looking for locations within 5 miles of their current location. For Dental Clinics, the best news is that local new clients generally become regular loyal patients if treated well. Businesses with visible ratings are 63% more likely to be busier than those with no ratings. Have you an Active Google Local Listing? Does it have reviews? The Google Local Result set is marked with a GREEN background in the image above. The whole purpose behind a search engine is to give customers the ability to search for important and relevant information. 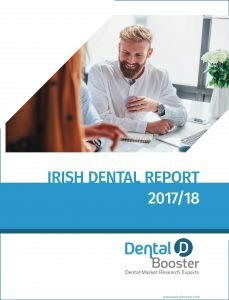 When they type a keyword or key phrase into Google, such as “Dentist in Dublin, Ireland”, it is the search engine’s responsibility to provide them with a list of relevant links that will guide them to the right business for their needs. In the Organic result set, there will be 10 websites displayed in the search results that will match the terms they are searching for. For example, “Dentist in Dublin, Ireland” will produce 10 websites of dentists in the Dublin area on each page. 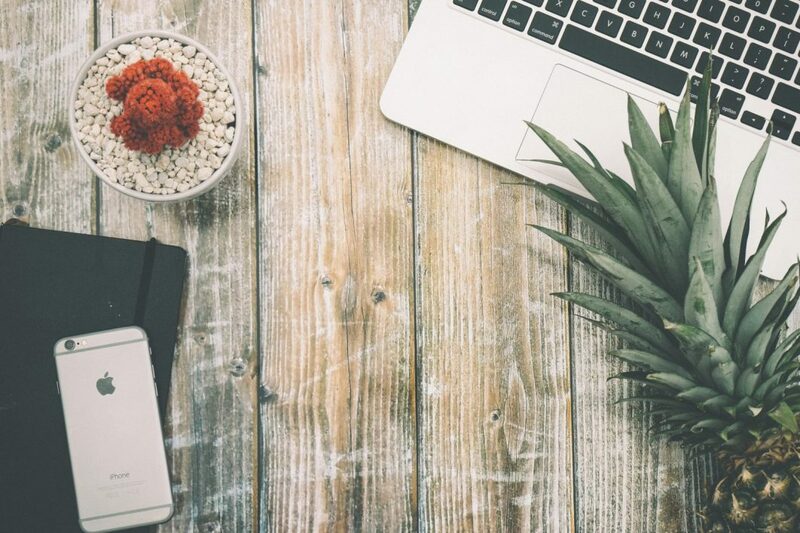 To further understand the term “organic”, any visit to your website that is a result of a search from a search engine and not from an advertisement or direct marketing method is seen as organic or natural traffic. Organic listings are a useful and affordable way to gain traction for your website and to lead prospective patients into your sales funnel. √ Free to List: When it comes to looking at how you’re going to get your organic listings on search engines, you won’t have to worry about any additional fees because it’s entirely free to use. There isn’t a package that you sign up with from Google that puts your website at the top of search engine result pages. Instead, it relies heavily on optimised content on your website. √ Trustworthy Listing Opportunities: There’s nothing more unappealing to a potential customer than to be faced with a variety of paid advertisements that they are being forced to look at. Since organic rankings are the exact opposite of paid advertising, it can be easier to trust. A study by Spitfire Inbound Marketing found that 70% of the links users click on during their searches are a result of organic listing opportunities. The more that clients are able to feel like they’re not being sold something for the sake of your businesses’ profits, the more likely they are to click. Google’s Ads continue to look very similar to the organic results, causing some users to click on both equally. √ Anyone Can Do It: It’s not that organic searches are easy, but more so that they don’t have any prerequisites that you have to consider. As an example, you don’t have to be an extremely popular dental practice to take advantage of organic listings. You also don’t have to have an overtly professional website either. Absolutely anyone can do it. X Experience is Necessary: You’re not going to see much of a difference in clients if your organic ranking is not on page 1 of related searches. Therefore, you’re going to need some experience in regards to applying search engine optimisation, back-links, website optimisation and much more. This is when small business owners may want to consider hiring a SEO firm to help, which can be an investment, but over time it will be well worth the money. According to Social Media Explorer, for every €0.80 spent on SEO, you’ll get a return of investment averaging €19. X Understanding Google: There are some tips and tricks that are commonly known to help boost the overall ranking of your website on search engines, but there are also many grey areas. This makes it difficult to know exactly what the best practices are when it comes to getting your website ranked on Google, and it’s never 100% clear. Their listing formula is top secret, otherwise every website would know exactly what to do to become the most popular. We have met a lot of dental clinic’s who have been burned by “Black Hat” or illegal methods of ranking, and are suffering now because of it. There are no shortcuts to ranking in Google, you need a well structured website, a strong reputation, a trusted linking profile from other websites and much more. X Long-Term Results: Organic searches aren’t the right avenue for you if you’re the type of business owner that likes to see results right away. In fact, you can expect to have to wait months before you start to see a substantial increase in traction on your website. Since you’re not forcing your dental services into the face of internet users through paid ads, organic searches are natural and take more time. It can take a long time before you get ranked high on competitive searches, so prepare to invest some money without seeing immediate results. Though it is important to note that although it can take a long time to see any results, a well-built marketing plan will be quite successful. If you do hire a SEO company, you should keep track of their monthly work, and its not unreasonable to see some results after 3 months or so. The Organic Result set is marked with a RED background in the image above. With the popularity of online marketing, it has encouraged many businesses to forget the more traditional form of reaching out to target audiences – offline marketing. It’s important also to remember that there is a percentage (even though quite small) of potential patients who do not use the internet, so keeping some local offline marketing strategy is recommended. Due to the high costs of offline marketing, it’s a very unattractive marketing method. 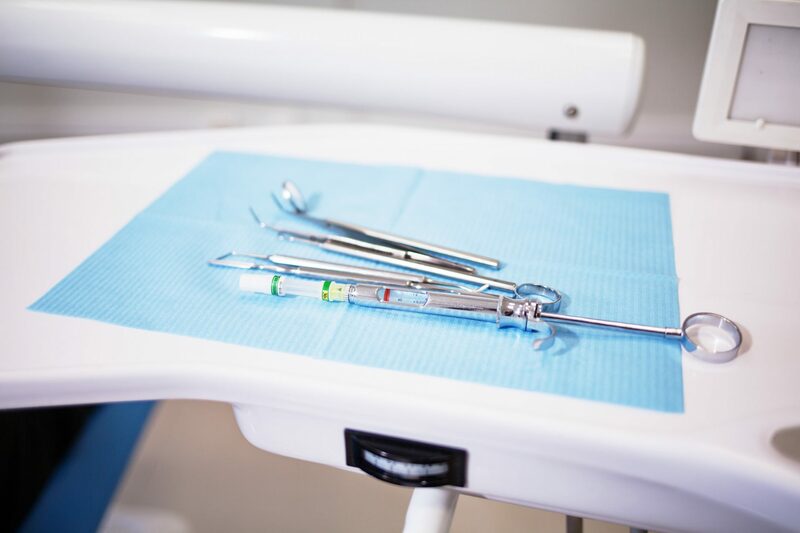 Online marketing is the way you can grow your Dental clinic, and with packaged solutions from Dental Marketing Experts, it’s not as costly as you may think. Google Adwords can deliver instant new enquiries to your Clinic, and Google Local results is a MUST when considering a dental marketing plan. If you need help with your local visibility, please get in touch with us today!